One can go nuts about this particular nut - Almond. This small nut has many health benefits. It is available easily in any grocery store, throughout the year. Technically speaking, this nut is a seed of the almond tree fruit. Jammu & Kashmir has designated it as the "State tree of Kashmir". Almonds provide you with a good amount of vitamin E, proteins, mono unsaturated fatty acids (healthy fats), and fibre, and yes energy too! The calcium and magnesium content is good. And with all these mighty nutrients, almonds are a perfect snack. Almond is considered to be a nutrient for skin, brain, nervous system and heart. It is rich in vitamin E, which helps in keeping the skin healthy and glowing. It is rich in antioxidants, so builds immunity. Many studies have indicated that it has a role in lowering the total cholesterol as well as the bad cholesterol (LDL) - so it is considered as a heart friendly nut! Myth: Almonds can only be eaten in winter season. Fact:Almonds can be consumed in all the seasons. The notion that almonds produce heat in the body is not scientifically proven. Myth: Almonds should be eaten without the skin. Fact: There is no scientific basis for this concept. Infact, skin of the almond contains fibre and antioxidant flavonoids which are good for health. So by removing the skin, we actually remove all those mighty nutrients. 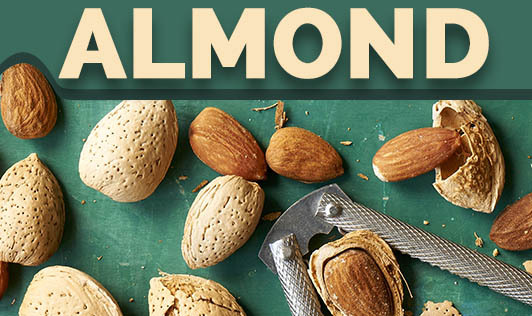 Enjoy almonds with the skin intact, it doesn`t taste bad at all!